Quartz stone has four times the flexural strength, and double the impact resistance of granite. Its main attraction is the modern colour ranges and resistance to staining & scratching. Its durability has been proven in the commercial sector since the early 90’s. Cost is similar to granite, and requires templating. 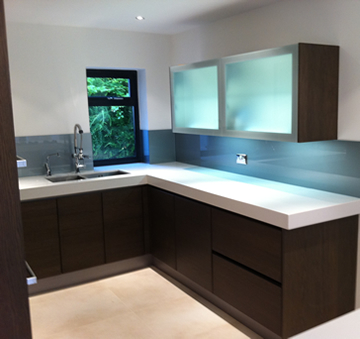 Quartz worktops cost range from £140 per metre.